12 steps to being your own health detective! Gaining true, lasting health is all about identifying and healing from the root cause. You can do it, I can do it, and anybody can do it. Today’s changing lifestyle, ever-increasing pollution, adulterated foods and rising stress is silently harming our life in various unknown ways. If you can understand your body and how it works, how the disease manifests and where it begins, then you can draw a road map towards becoming your own health detective (and your family’s health detective) so that you empower yourself to live a thriving life. Here are some pointers that can help you be your own Health Detective! If you feel stressed out, sleepy-groggy headed, lack of concentration even in your daily chores and work, this is a clear indication that you are not getting enough sleep! But if even after 6-8 hours of adequate sleep, you get up all weak, lost and tired, then that’s a red signal. Stop!! And analyze what’s causing that. Get a full body check-up done every 6 months. Stand in front of a mirror and check if you have any lumps, or uneven skin tone. If any mole like thing appears bigger than 5mm, or pinkish-brownish discolouration, it’s an indication to fix up an appointment with a dermatologist. Most of the people see hair-fall as a result of the seasonal change, change of shampoo or oil. Very few know that it could also be an indication of a disease/or a medical condition. Examine your comb regularly. If there is hair-fall appearing more than normal, it could be due to underlying deficiency of iron or thyroid. Also, follow a good hair-care and wash routine. A window of light through your eyes! Lack of sleep can cause puffiness under the eyes. However, this puffiness goes away with proper sleep and rest. If puffiness appears for a long duration it could be due to water retention, kidney issues, indigestion. Do not ignore this and see a doctor. A wave of happiness that comes due to weight loss can become a cause for stress when the reasons for weight loss are not right. It could be due to weight cycling, or YO-YO effect that usually occurs due to extreme workouts, or diet restrictions, crash diets. If not because of these, a sudden increase or decrease could also be happening because of diabetes, thyroid etc. It’s normal to feel tired and all sleepy after a long day at work or a long journey. But, if you are feeling lethargic all the time it could be due to an underactive thyroid, which also increases the chances of developing high blood pressure and heart problems. Consult a doctor immediately and get your blood tests done. 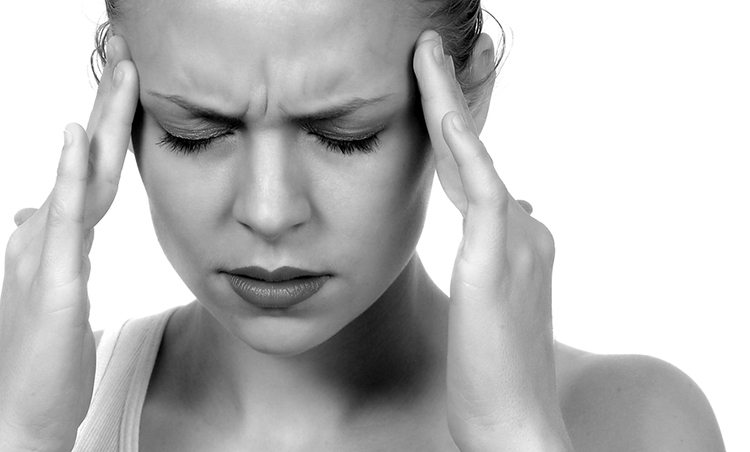 A headache persists it could be due to a migraine, cervical, or spondylitis. Resort to physiotherapy, good posture and regular workout. Most of the people don’t pay much attention to feet, because of which they are unable to notice any visible changes happening there. If nails have white spots or have become yellowish in colour, it might be indicative of calcium or haemoglobin deficiency respectively. Persistently cracked heels may be because of low water intake, and swollen feet indicate the onset of diabetes. If you feel that your feet remain excessively cold, a thyroid test must be done with doctor’s advice. Bacteria in the mouth are major causes of pain and infection in gums as well as heart-related and lung-related infection also. Conditions related to teeth and gums can also become a reason for pain in shoulders and back. Take extra care to maintain oral hygiene and dental care. A dental check-up every 6 months is advisable. Snoring in our society isn’t considered abnormal. One snores when there is blockage or difficulty in breathing. Snoring adds to excessive pressure on lungs, and it could also happen because of high blood pressure, which could, in turn, lead to heart ailments. If anyone is suffering from snoring for a long period of time, take responsibility and get their sleep study test and dynamic MRI done with doctor’s advice. People who have high/low B.P issue should always keep a digital monitor at home. Get your blood pressure checked at regular intervals or if you notice any change in the body. Remember normal blood pressure should be 120/80mm Hg. People who have crossed 40 yrs, people having heart diseases or high blood pressure should get a complete cardiovascular check-up done. This helps in screening and treatment of risks like heart attack, stroke etc in the preliminary stage. Get blood cholesterol levels also checked once every year. Becoming a health detective doesn’t mean that you become an expert or a doctor. Being a health detective only means to be alert and responsible for observing and noticing any changes that happen in your body. Never take any medicine or administer drugs to others without a prescription or doctor’s advice. Today, most people treat themselves by looking up their symptoms on the internet. This is called as ‘Cyberchondria’. Please do not do this, as you can go wrong with your diagnosis. Do not blindly believe any information given on the web, as not all of this information is trustworthy. Are you looking for prestigious detective services in Hanoi? But you still have not figured it out yet, so please contact Detective Toan Tam to get the best detective services, details at Detective Toan Tam’s website. Very informative, keeping a check on self health is important.